On August 8, 2018, the Service released proposed 199A regulations. Those regulations are important and mark a dramatic change from the prior tax regime. Another change that also marks a departure involves the release of final regulations for non-cash charitable deductions. In this article, the author discusses the latter. 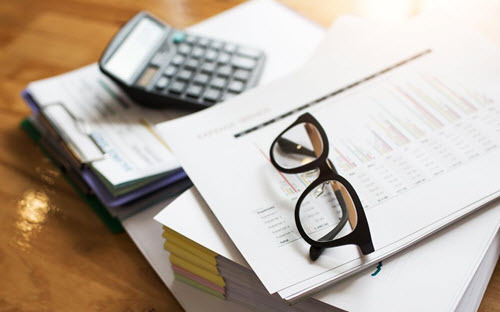 The IRS has released proposed regulations for the Qualified Business Income (QBI) deduction and final regulations for non-cash charitable deductions. Each of these regulation sections should be reviewed and steps should be taken to address the implications regarding business valuations if you are working with valuations for federal tax purposes. Key elements of the final regulations and proposed regulations are introduced, and dates provided to help the business valuer to take proper actions immediately and into the near future. What are Proposed and Final Regulations? On August 3, 2016 the author blogged[i] on proposed regulations related to estate and gift taxes and stated, “These proposed regulations are exactly that. ‘Proposed’”. That is, they are open for public comment as indicated in the document. In this instance, these QBI proposed regulations[ii] in 26 CFR Part 1 [REG-107892-18] RIN 1545-BO71 are open for electronic comments through October 1, 2018. If practitioners make use of the proposed regulations before being converted to temporary or final regulations, generally penalties are not applied, but caution is urged as proposed regulations can run contrary to the corresponding code section when soliciting comments from the public. The IRS Proposed Regulations on the QBI deduction[iv] are out for comment. These stem from IRC 199A in the Tax Cuts and Job Act (TCJA). This section of the act is 22 pages in length with about 20 defined terms. The new proposed regulations are 184 pages in length. [v] This illustrates the complexities relating to this code and related proposed regulation section. Various sections address previously suspended losses, net operating losses, rules for determining whether an entity is effectively connected with a U.S. trade or business, application to 199A, exclusion from QBI for certain items, reasonable compensation, allocation of items not clearly attributable to a single trade or business, aggregate rules, definition of a specified trade or business, various definitions, applications to trusts, estates and beneficiaries, and more. If you are involved with the QBI deduction on a business valuation, you need to download these and apply them appropriately. Final regulations regarding cash and non-cash charitable contribution deductions[vi] became effective July 30, 2018 with certain provisions taking effect January 1, 2019. The Uniform Standards of Appraisal Practice (USPAP) are cited in the regulation, but are not required. Rather the “substance and principles of USPAP as developed by the Appraisal Standards Board of the Appraisal Foundation” is language used to provide guidance to practitioners as is stated in Section III (B) of the regulations. As a Certified Valuation Analyst (CVA) with the National Association of Certified Valuators and Analysts (NACVA), when you meet your standards, you will have met the substance and principles required by the regulation section. Although various appraisal organizations, including NACVA, requested their credentials be acknowledged by the Treasury Department, in the final regulations, the IRS does not require or prefer any appraiser organization. The final regulations provide examples of qualified and non-qualified appraisers. This new regulation from the U.S. Treasury Department “contains amendments to the Income Tax Regulations, 26 CFR parts 1 and 602, relating to substantiating and reporting deductions for charitable contributions under section 170 of the Internal Revenue Code (IRC). These final regulations reflect amendments to section 170 made by section 883 of the American Jobs Creation Act of 2004, Public Law 108-357 (118 Stat. 1418, 1631) (Jobs Act), and sections 1216, 1217, and 1219 of the Pension Protection Act of 2006, Public Law 109-280 (120 Stat. 780, 1079-83) (PPA), which added new rules for substantiating charitable contributions. The final regulations also update cross-references to the section 170 regulations in other regulations.” Given the complications involved, it is recommended that you as a business appraiser read Regulations Sections §§ 1.170A-15, 16, 17, and 18 that stem from IRC Section §170. Even with these final regulations the AICPA has asked the Treasury Department for further clarification related to trusts and estates. [vii] Expect more clarification in the future. Business appraisers should be aware and take appropriate steps associated with the new final regulations on cash and non-cash charitable contribution deductions and how this may impact gifts. The existing code and regulations pertain to other business valuation situations. The proposed regulations on the QBI deduction are out for comment through October 1, 2018. If you are developing business appraisals impacted by the QBI deduction, you need to download and apply these proposed regulations as appropriate. [v] BV Wire Issue #191-3|August 15, 2018. Michael A. Gregory, CVA, ASA, MBA, worked for the IRS for 28 years as a specialist through executive level. Twice he was nominated by his employees and received the honor of IRS civil servant of the year in his career; both as a front-line manager and a territory manager. In 2011, he founded Michael Gregory Consulting, LLC. In June 2014, he received the Outstanding Member Award from NACVA. He served on the Valuation Credentialing Board June 2015 to May 2018. His web page is www.mikegreg.com offering his over 200 blogs and books. Mr. Gregory can be contacted at (651) 633-5311 or by e-mail to mg@mikegreg.com.